(MoneyWatch) The package of mandated federal spending cuts known as the "sequester" is only days away. Here's a primer on what that means and how it might affect you. What is "sequestration"? By definition, sequestration is "a legal writ authorizing a sheriff or commissioner to take into custody the property of a defendant who is in contempt until the orders of a court are complied with." The word is derived from British law and amounts to the act of taking someone's property until a debt has been paid. In the U.S., budget laws allow the executive branch to "undo" congressional appropriations with small, across-the-board spending cuts. In its current use, sequestration amounts to $1.2 trillion in across-the-board government spending cuts scheduled to occur over the next decade. How did the spending cuts come about? In August 2011, lawmakers fought over raising the debt ceiling, which is the government's borrowing limit. Republicans would not agree to increase the debt ceiling unless there was a plan to immediately reduce the nation's debt. To end the impasse, Congress and President Barack Obama agreed to the Budget Control Act (BCA), which allowed for an additional $2.4 trillion in borrowing in exchange for a similar amount of deficit reduction over the next decade. Of that amount, $900 billion was to be achieved through spending caps affecting all government functions outside of entitlement programs. The balance of the cuts would be determined by the Joint Committee on Deficit Reduction, a bipartisan committee charged with finding a way to slash the nation's government spending by $1.2 trillion over the next ten years. This so-called supecommittee had a big incentive to come up with a plan: If they could not come to an agreement, there would be a trigger: sequestration, or automatic $1.2 trillion in spending cuts over the next decade coming equally from domestic and defense spending. According to the Office of Management and Budget, "bipartisan majorities in both the House and Senate voted for the threat of sequestration as a mechanism to force Congress to act on further deficit reduction. The specter of harmful across-the-board cuts to defense and non-defense programs was intended to drive both sides to compromise. The sequestration itself was never intended to be implemented." That threat didn't work. Because the supercommittee failed to reach an agreement, the automatic spending cuts were set to go into effect on Jan. 2, 2013. However, as part of the "fiscal cliff" negotiations, sequestration was delayed until March 1. There was hope that the cuts would be replaced by a more nuanced plan, but such a plan has yet to materialize. How much will be cut in 2013? The sequester would cut government spending by an average of $109 billion over the next 10 years. But the last-minute fiscal cliff deal included cuts of $24 billion for 2013, so in the remaining seven months of this fiscal year the government must come up with $85 billion in cuts. Where will the spending cuts occur? The cuts will occur in the Defense Department, which will see 13 percent cuts (uniformed military personnel would be exempt), and in "discretionary" programs (those that don't have earmarked funds), which will see cuts of roughly 9 percent. Under the rules of sequestration, cuts must be applied to all programs, without regard to whether a particular service is seen as essential. What programs won't be cut? Social Security, Medicaid, supplemental security income, refundable tax credits, the children's health insurance program, the food stamp program and veterans' benefits. Active-duty military personnel would be exempt from the cuts. 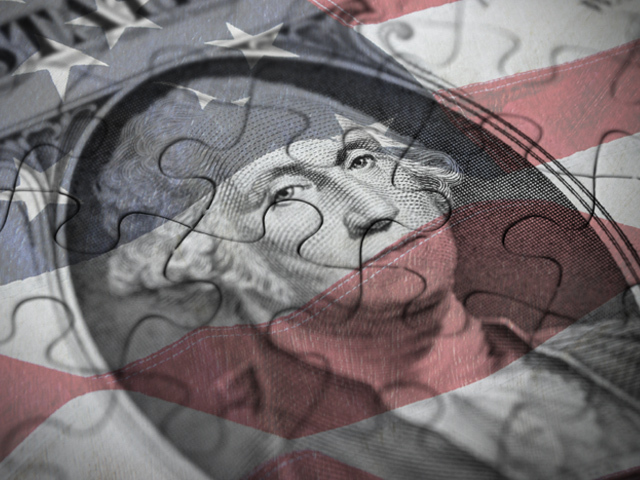 How will sequestration affect the economy? The Congressional Budget Office estimates that the cuts could reduce public- and private-sector employment by 750,000 jobs in 2013 and reduce GDP by 0.5 percent. Where do the parties stand? While both Republicans and Democrats agree that sequestration is a bad way to run the nation's finances, for now there seems to little appetite for a new round of deal making before the March 1 deadline. Republicans insist that a deal not raise taxes, even if such increases are offset by closing tax loopholes. GOP leaders would replace cuts in defense with other cuts to mandatory programs, like food stamps, children's health insurance and Medicaid. Mr. Obama and the Democrats favor reducing the federal deficit with half the reduction coming from revenue increases and half from spending cuts. The president also has expressed support for reforming the personal and corporate tax code, mostly by eliminating deductions and tax credits claimed by the wealthiest Americans. What's the next key deadline after sequestration takes effect? On paper, the government runs out of money March 27, although it has ways to continue funding itself beyond that date.